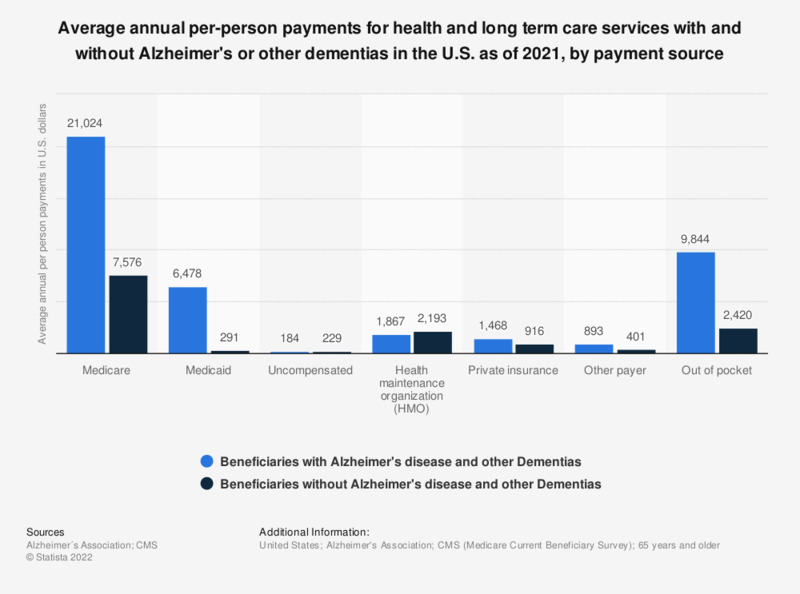 This statistic shows the average annual per-person payments for health and long term care services for those above the age of 65 years with and without Alzheimer's and other dementias in the United States as of 2018. The overall average annual out of pocket payments for health services made by beneficiaries over the age of 65 with Alzheimer's or other dementias was 10,798 U.S. dollars. * Payments for all beneficiaries with Alzheimer’s disease and other dementias include payments for community-dwelling and facility-dwelling beneficiaries. Values are in 2018 U.S. dollars and based on 2011 survey data.